Seven-year-old Sandy lost both of her parents to serious illnesses back in 2006. Sandy now lives with her aunt in Balaka, and her other siblings are all scattered in different homes with relatives. Though she has a guardian, Sandy faces many difficulties. Her household relies on her aunt getting casual work to buy food, but her aunt struggles with alcohol abuse and the family often goes without eating. There are currently nine people living in her small home. 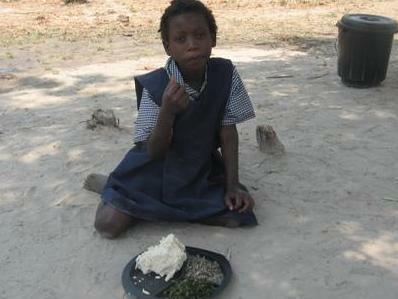 Sandy’s clothing consists of only two dresses and she attends school bare-footed. Though Sandy continues to have a difficult home situation, Balaka Community Based Organization (CBO) strives to provide her with the love of a family. The Care Workers have adopted Sandy as one of their own, and she is now attending the Care Point every day where she receives one nutritious meal a day. Those who know her say she also now wears a smile! For a girl who has faced many challenges at a young age, this love and care provides the hope she needs to have faith in her future. Hands at Work supports CBOs like this one to reach the most vulnerable children like Sandy. Make this a Radical Advent by supporting Hands at Work in serving orphaned children in Africa! Please consider making a donation to our Christmas campaign here.